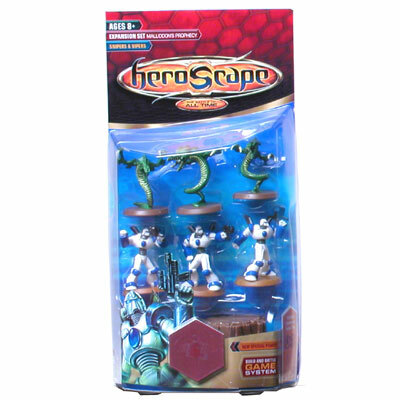 Add the power of the SNIPERS & VIPERS to your HEROSCAPE Army! JANDAR needs more warriors to continue his battle against the evil UTGAR. Together he and ULLAR have summoned additional warriors to help in the fight. The snake-like VIPERS are able to slither through water, advancing faster towards the enemy. The deadly shot of the SOULBORGS are sure to help in all future battles. The special powers and abilities of these SNIPERS & VIPERS are sure to be a great addition to your army.